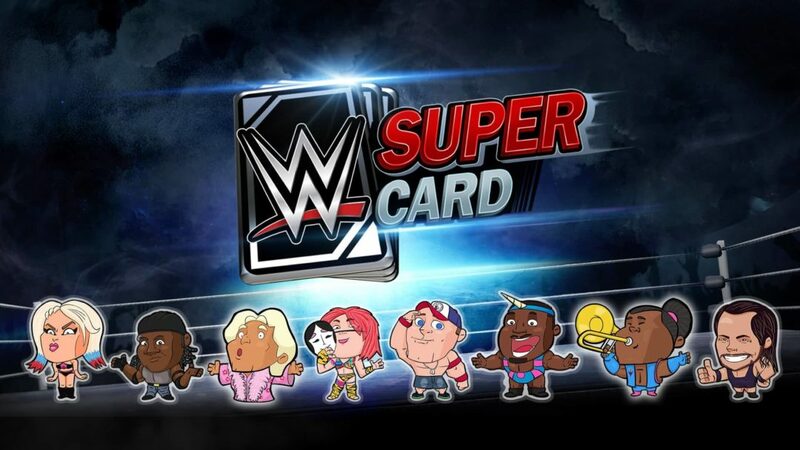 As of February 15, 2K’s WWE SuperCard Season 3 update is now live for Android and iOS devices. Players can download the update for free from the App Store or Google Play. 2K adds several new features with the update to WWE SuperCard. Players can now send WWE Superstar-themed emotes to online competitors in live PvP play with the new “Attitudes” system. Other game modes, like Ranked and Royal Rumble, will allow players to send taunts featuring stylized versions of some of WWE’s most charismatic superstars. Players will receive a selection of nine Attitudes for free while other will be offered in the store. Every month, at least one new Attitude will debut. Following the new Attitudes, Hardened, Elite, and Ultimate Fusion cards are coming to Season 3. Fusions are powerful cards and players create them within the Fusion Chamber. They are designed to be competitive with Event and Throwback cards. Officer Dango and NXT Superstars Tommaso Ciampa, Johnny Gargano, Akam and Scott Dawson, will be debuting as Fusions with more to come. New fusion cards coming to season 3. Download WWE SuperCard for free on the App Store for iOS devices, the Google Play Store, and the Amazon Appstore for Android devices. For more information on WWE SuperCard, follow the official Twitter and Facebook accounts and check out the official site. You can also find more information on the Season 3 update here.